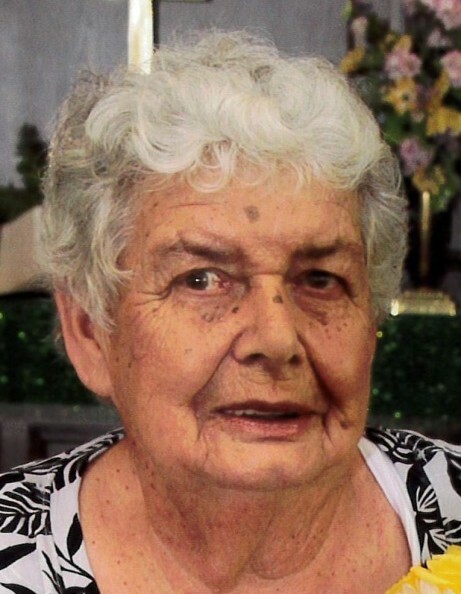 Joan “Susie” Ellen Schmitz, age 84 of Montello passed away Thursday, January 17, 2019 at the Montello Care Center. Susie was born in Montello to Carl and Ella (Ross) Gray on September 9, 1934. She married Ernest Schmitz on Valentine’s Day of 1952 in Montello and from that union came eight children. Susie was a lifelong resident of Montello. She was a hardworking person who enjoyed canning, baking, gardening as well as farm work. Susie was an animal lover and will be remembered for her caring and strong willed personality. Above all else, her family was most important to her and especially her grandchildren and great-grandchildren. Susie leaves behind her husband of almost 67 years, Ernest and seven children: Carl (Darlene) of Reedsburg, Dale (Laurie) of Oxford, Bruce (Lianna) of Westfield, Glenn (Kristi) of Westfield, Judy (Jeff) Mateske of Montello, Lisa (Lee) Ollendorf of Westfield and Ann (Joe) Prescott of Adams, MN. She is also survived by eighteen grandchildren and seventeen great-grandchildren. Susie is further survived by siblings: Robert (Kay) Gray and Diane (Lynn) Dhein as well as other extended family members and many friends. Susie is preceded in death by her parents, son, Randy, daughter-in-law, Debra and siblings: Donald, Graydon, Russell and Donna Jean Gray. A funeral service for Joan “Susie” Schmitz will be held on Monday, January 21, 2019 at 11:00 AM at the Crawford Funeral Home in Montello. Visitation will be held from 9:00 AM until the hour of service. Pastor Pete Zietlow will preside and burial will take place at a later date at Oak Hill Cemetery, town of Packwaukee. In lieu of flowers, donations are preferred to the family for a memorial that will be established in Joan’s name.